My Family Fun - Barbie The Secret Door Princess Alexa Singing Doll A Secret Door to a Fantastic World of Barbie! A Secret Door to a Fantastic World of Barbie! 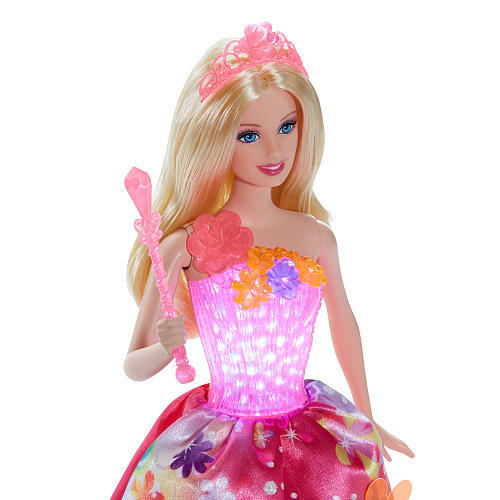 Barbie stars as a shy princess who works with a mermaid and fairy to save the magic of this neon-bright fairytale land. Princess Alexa doll captures that magic dressed in her finale dress that fans of the film will recognize. 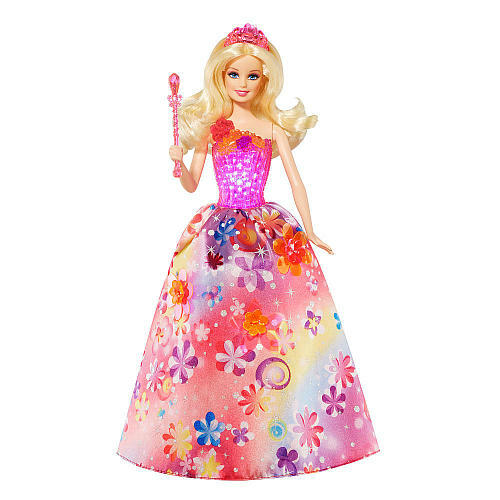 A shimmery sculpted bodice, vibrant vinyl flowers on the full-length skirt and a pink princess tiara resonate with neon glitz. Wave her wondrous wand to hear her sing two song clips from the movie and see her bodice flash with lights. Girls will love playing out quintessential moments from the film or creating new happily-ever-afters! Ages 3 and older.